Kenya’s main international airport was closed today after a “very severe” fire engulfed the regional hub. Hundreds of would-be passengers were left stranded outside Nairobi’s Jomo Kenyatta International Airport as officials evacuated the entire complex. The cause of the inferno is unknown but it is thought to have begun at around 0500 local time in the arrivals and immigration area. That building is now believed to have been completely destroyed. 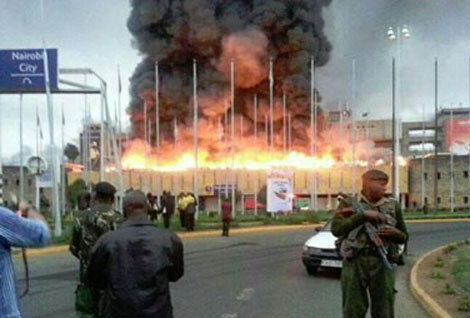 Michael Kamau, Kenya’s cabinet secretary for transport, said this morning: “We are still fighting to contain the fire. Investigations will start immediately after. Kenya Airways this afternoon revealed that it will be be starting a “limited operation” this evening.